Gap Inc (NYSE: GPS) recently announced its plan to separate Gap Inc. into two independent publicly traded companies – an independent Old Navy, and a yet-to-be christened new company (“NewCo”) that would include Gap brand, Athleta, Banana Republic, Intermix and Hill City. Further, the company expects the separation will be effective through a spin-off to Gap Inc. shareholders which is intended to generally be tax-free for U.S. federal income tax purposes. This news largely overshadowed the company’s soft showing in Q4, reported in late February, as its Gap Global brand continued to struggle, delivering a 5% comp decline, while the overall comp sales in the quarter were down 1%. Gap Inc’s comp sales for the year were flat compared to positive 3% last year. However, Old Navy and Athleta continued to perform well in fiscal 2018, delivering positive comparable sales. We currently have a price estimate of $34 per share for GPS, which is significantly ahead of the current market price, and does not currently account for the spin-off. We have summarized our full year expectations for GPS, based on the company’s guidance and our own estimates, on our interactive dashboard GPS’ 2018 Financial Performance. 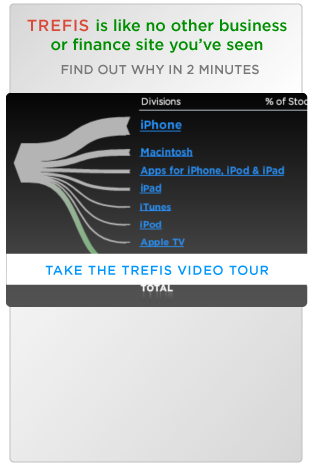 You can modify any of our key drivers to gauge the impact changes would have on its valuation, and see all Trefis Consumer Discretionary Services company data here. Old Navy continued its impressive performance in fiscal 2018, delivering comp growth of 3%. The brand accounts for nearly half of Gap’s overall revenues, and saw its revenues surge by 8% to reach $7.8 billion in 2018. Revenue per square foot also increased by 3% to $417, as Old Navy continues to operate at higher margin rates as compared to other Gap brands. Further, Gap opened more than 75 Old Navy stores in 2018 as demand for the brand continued to rise. However, the company’s management feels the brand remains under-penetrated when compared with its peers, and we expect the increasing store count to help improve its market share and revenues. Gap Global’s comp sales were down by 5% in 2018 as compared to negative 1% last year. The brand has consistently struggled and delivered negative comp growth in the last five years. Total revenues for the brand were flat compared to last year, though revenue per square foot increased by 4%. Gap brand continues to work through its brand revitalization and restructuring as it closed down more than 90 stores in 2018. The company expects to close an additional 230 stores over the next two years, as management remains focused on reviving the Gap brand. Fiscal 2018 was a year of progress for Banana Republic, as the brand achieved positive comp growth (for the first time in the last 5 years) and saw a 120 basis point product margin expansion. Margin expansion was achieved as a result of reduced expenditures on promotional activity. However, this adversely impacted consumer traffic but helped in improving the overall profitability of the brand. The brand’s market share improved across pillar categories and we anticipate the rejuvenated Banana Republic’s market share and profitability to further improve in the foreseeable future. The “Athleisure” segment remains a major growth driver for the apparel industry. Sales in this category continue to grow, and the U.S. market is estimated at around $50 billion currently, with further growth expected. Gap’s Athleta delivered another strong performance in fiscal 2018, further improving its market share. Overall, the brand exceeded management’s own expectations in 2018 and remains poised for further growth in the coming years. Visualize Related Companies: Gap Inc.